1. You’re not alone in the world. Turns out that the Library of Congress has a lot of digitized documents that are waiting for you to look at them. I like to see straw braid being machine sewn, and I’m green with envy when the lady says that they have (if I understood correctly) 3000 wood crown blocks and 2000 brim blocks. I believe this video was made to teach french, as a series of TV5 called Mains et Merveilles. 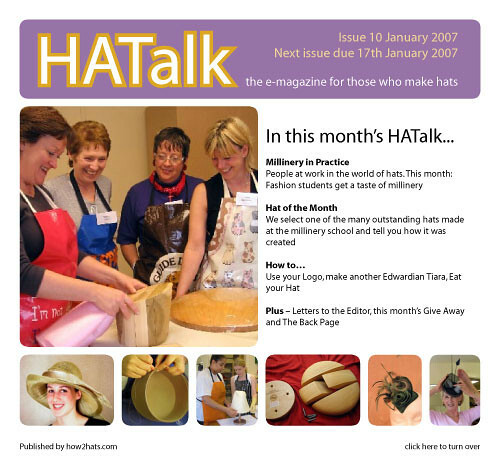 HATalk is a downloadable monthly e-magazine (suscription based). 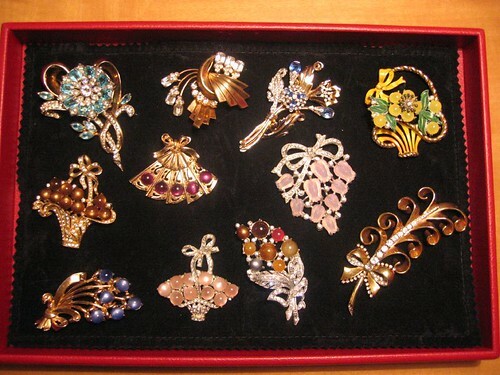 Published by the Wombourne School of Millinery it contains all sorts of hat-making related articles and tips. 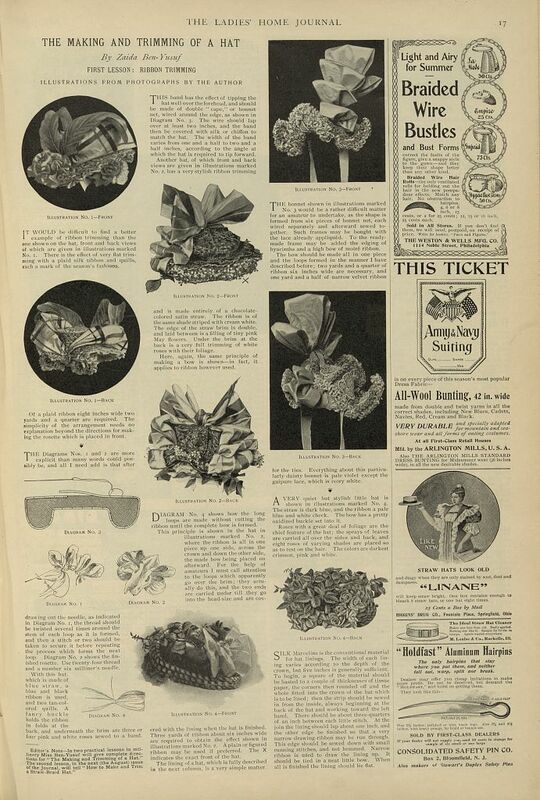 All articles are very detailed, including step by step pictures. My review is based on the three issues that I have read. One issue (number 4) I received for free (you can also receive a free issue, email them at mail@hatblocks.co.uk). In November I subscribed, and I have received the November and December issues (January issue comes out 17th January). I hope to buy all past issues soon (I have to write to find out how much that will cost!). Although there’s an understandable focus on the activities of the School (like the Hat of the Month section, that features students work), the magazine also contains helpful millinery tips and full hatmaking tutorials. Interesting information for anyone who loves making hats. While I’m down with the flu here I will let you take a peak at something else I love. Here are some of my vintage brooches dating from the thirties, forties and fifties. I bought my first one on Ebay while looking at new stuff to buy for a gift. Once you buy one you’re hooked. Price can range between as little las 1 dollar (plus shipping) to whatever you’re willing to pay, but for 10-20 dollars you can buy some really neat things! Shipping to Spain with Global Priority is usually less than 10 dollars.